If Qualcomm accepts Broadcom’s proposal, estimated at somewhere around $120 billion, San Diego community leaders say the effects would be far-reaching—even if Broadcom elects to keep some part of Qualcomm’s operations local. For one thing, a successful Qualcomm buyout would be the technology industry’s biggest-ever takeover, creating a tech giant whose products would be used in nearly all of the world’s smartphones. 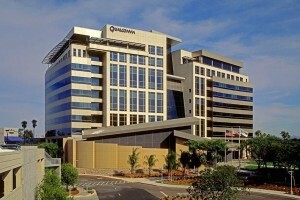 Qualcomm, in contrast, has a different corporate culture. It has grown into a global juggernaut in the wireless communications industry largely through its innovation prowess. If a Qualcomm employee’s name is on a patent filing, he or she can add the title “inventor” to their business card. Founded in San Diego in 1985, the company secured its rank as the world’s biggest maker of smartphone chips with the global adoption of its proprietary CDMA telecommunication standard in the 1990s. Since then, Qualcomm has remained an industry leader in its development of wireless processors, mobile computing, Wi-Fi, and related technologies. The company spent $5.48 billion on R&D in fiscal 2017, amounting to 24.5 percent of its $22.3 billion in annual revenue. As The New York Times’ Conor Dougherty recently observed, Qualcomm founding CEO Irwin Jacobs also has emerged in recent decades as one of San Diego’s biggest benefactors, beginning perhaps most notably with a $100 million gift that rescued the financially troubled San Diego Symphony in 2002. Jacobs has made equally sizable gifts to UC San Diego’s engineering school and medical center, and provided crucial support to local community centers, the food bank, museums, theaters, and other charitable causes.